While impatiently awaiting the third book in this series, this short novella satisfied me for the moment. 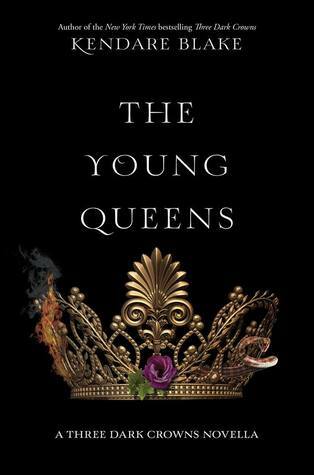 It offers the reader keen insight on the backstory of not only the three queens, but many other characters and fills in some blanks about certain motivations and occurrences in Three Dark Crowns and One Dark Throne. If you’re a fan of dark fantasy, complex characters, and stellar world-building, I can’t recommend this series enough, but must stress that this novella shouldn’t be read before the first two books if you want to avoid spoilers. Good tip about the spoilers. It sounded good, but I wouldn’t want to read them out of order. Me either – but I have some friends who aren’t picky about reading out of order. I don’t get it. This sounds really terrific, Teri. This whole series has been unique, dark, and twisty – a perfect combination.